Took this one on a beach in Turkey, amazing as the Paragliders were landing on the beach. We actually did paragliding too, and I have some great pictures from that as well, so will put them up at some point. 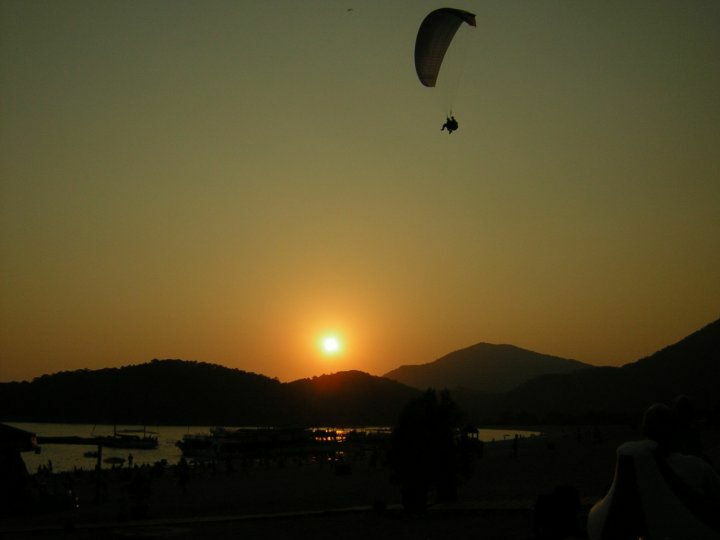 Was Olu Deniz beach, apparently the most spectacular place to paraglide in Europe. I'll put up some more photos from the beach up in the air at some point, got some great ones!